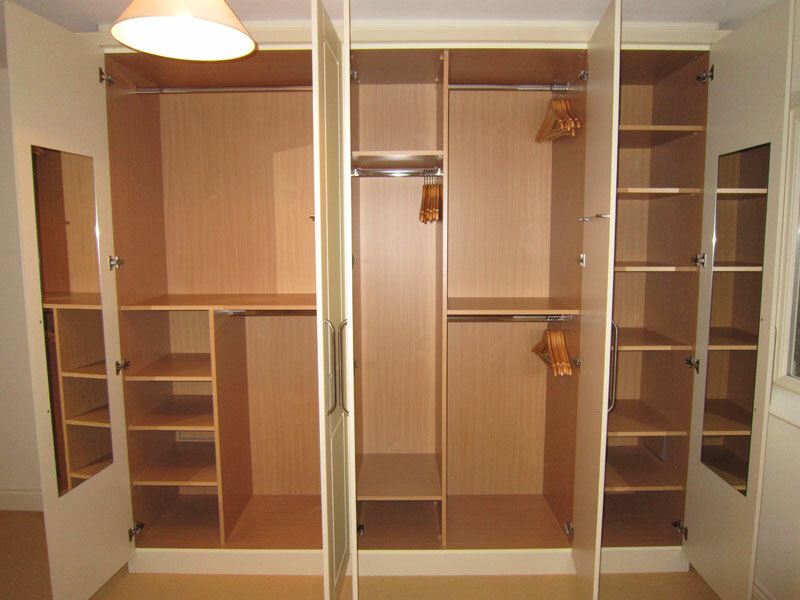 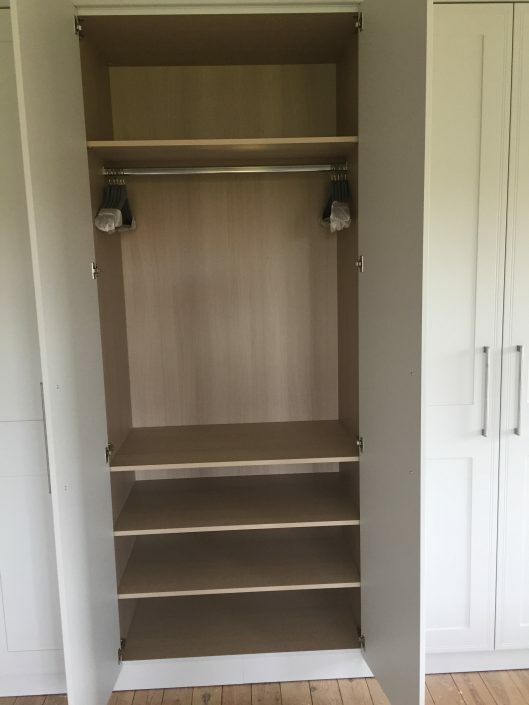 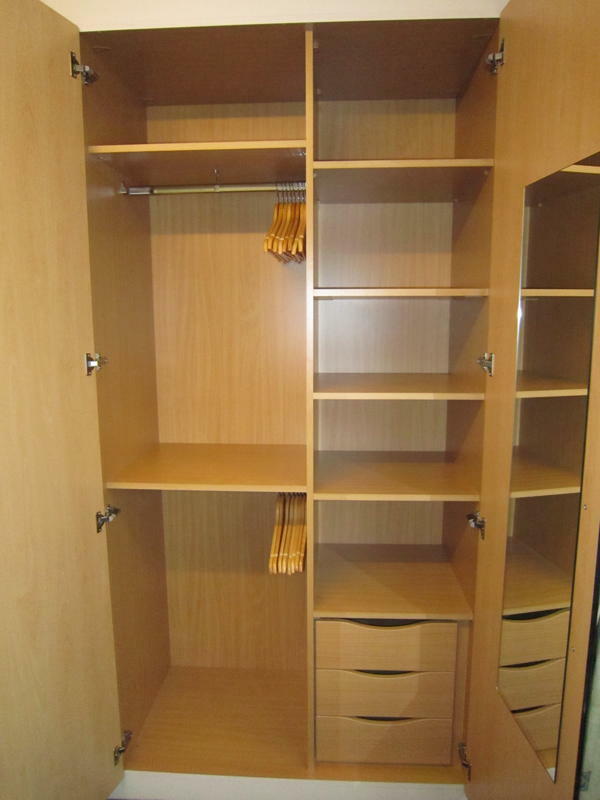 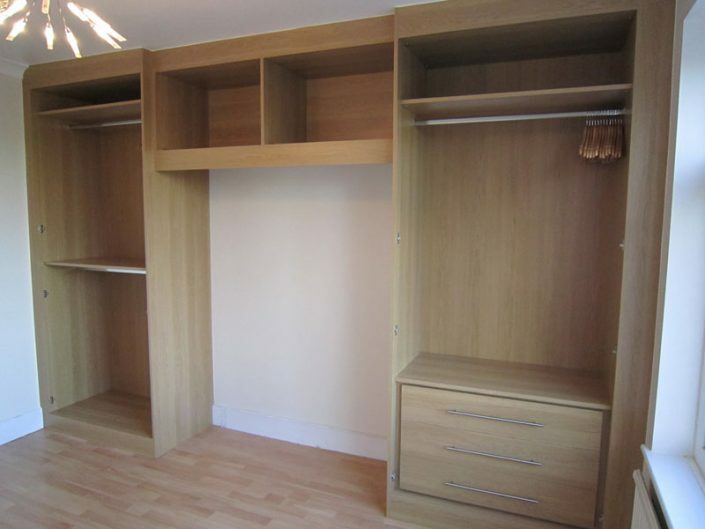 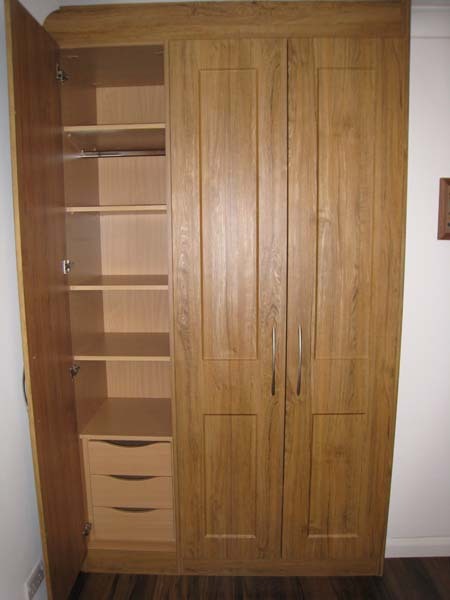 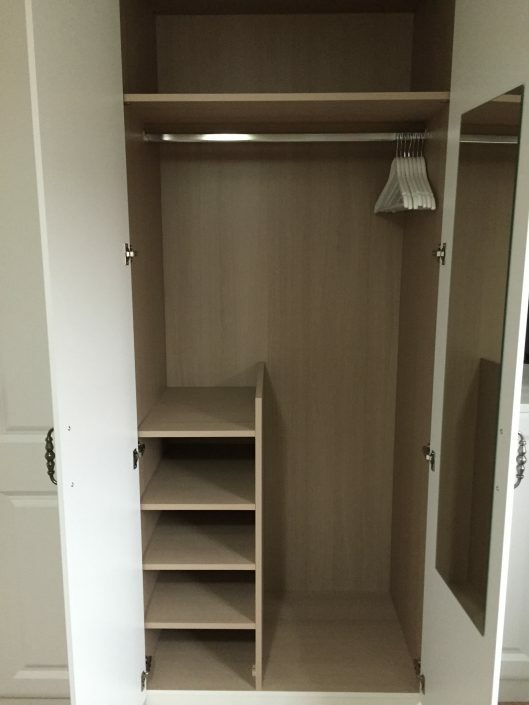 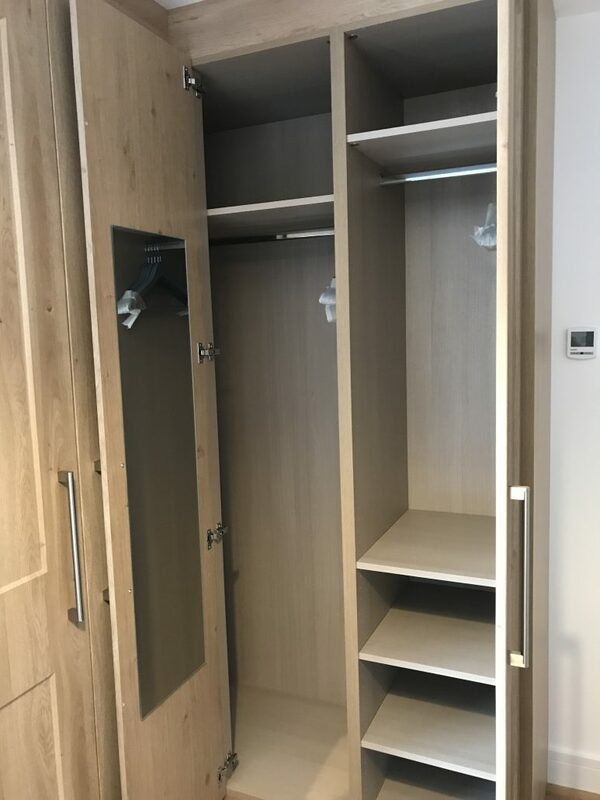 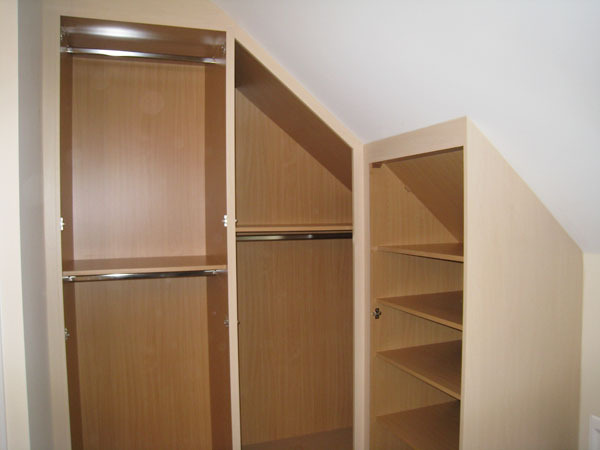 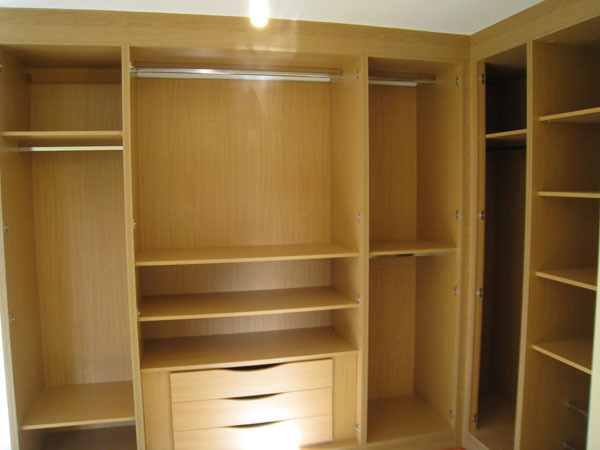 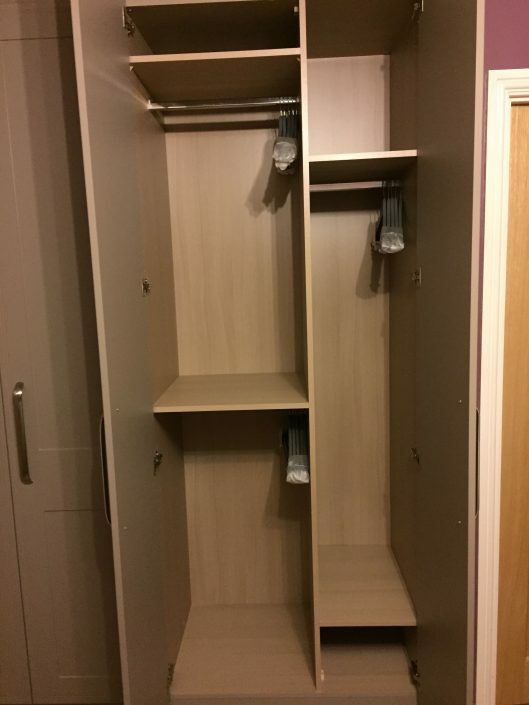 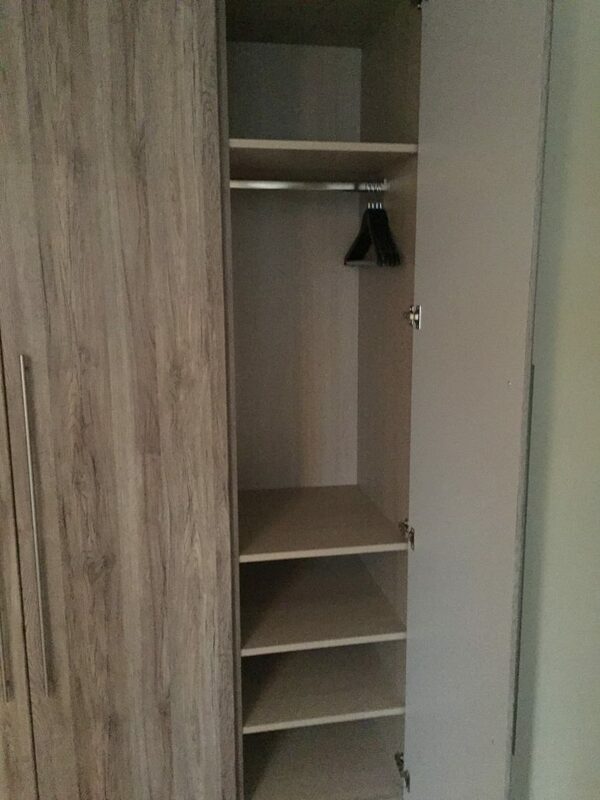 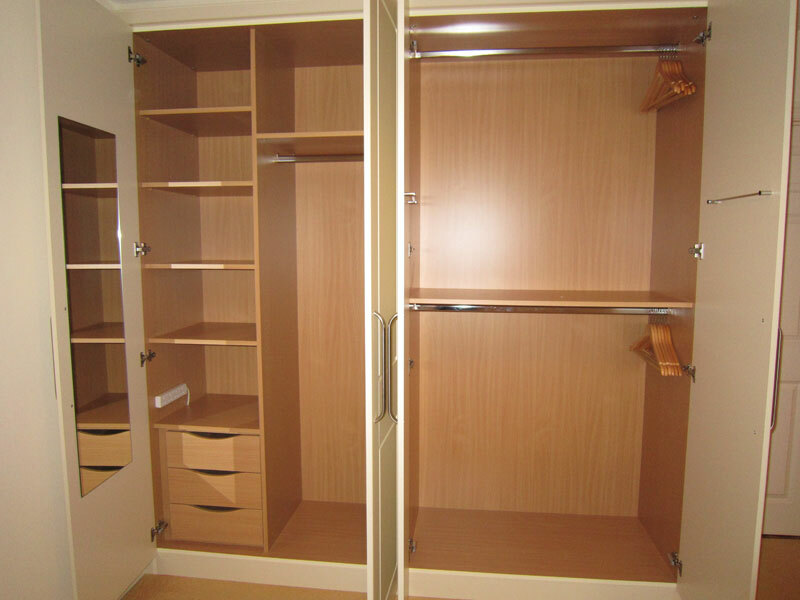 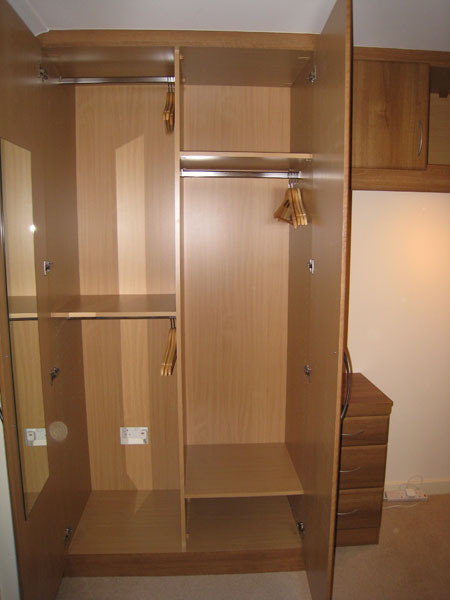 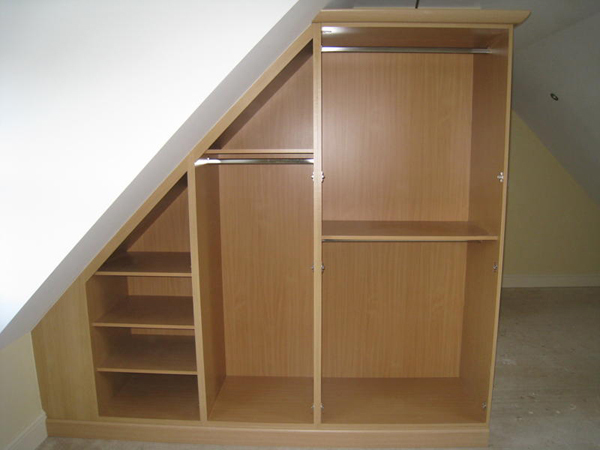 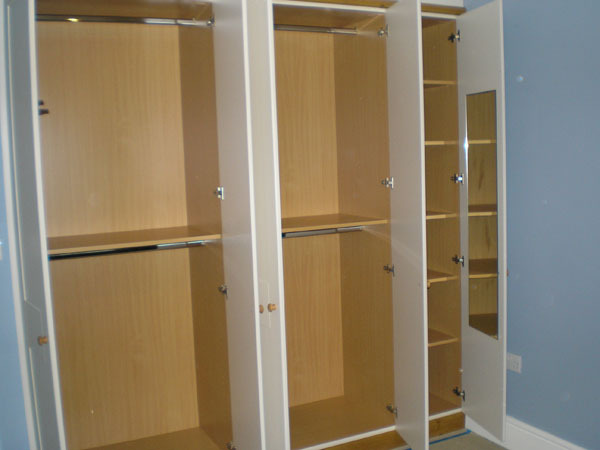 All our wardrobe interiors are finished in Acacia, with Beech & Oak also available. 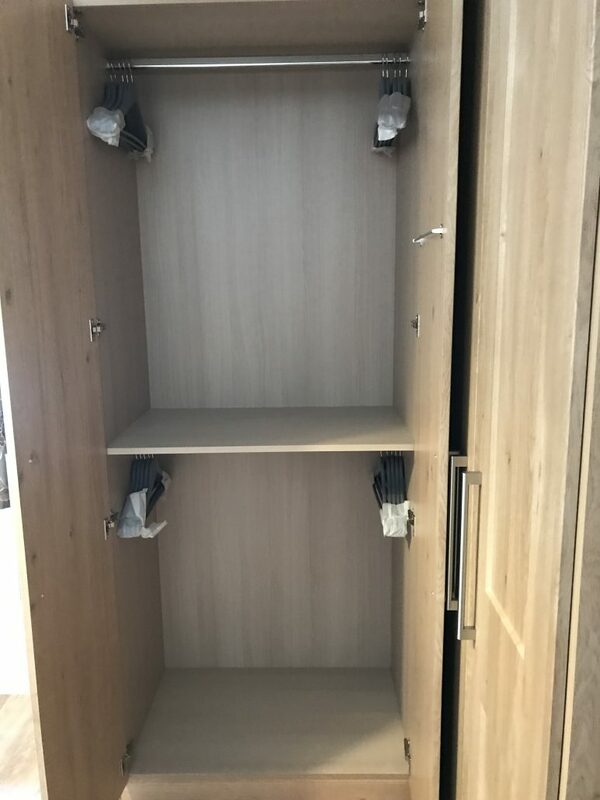 They are multi adjustable and configured to your individual needs, with features such as long hang, double hang, shelving and internal drawers. 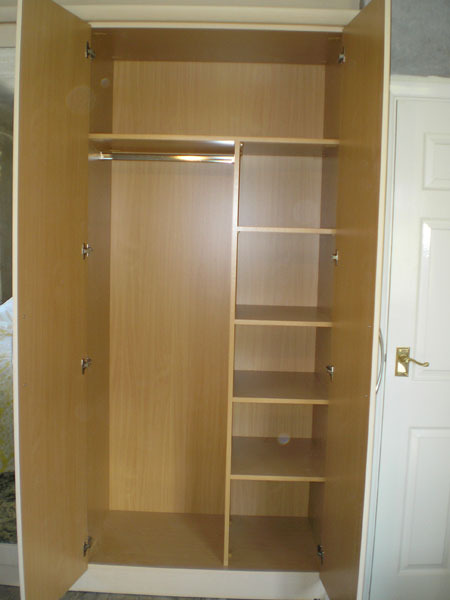 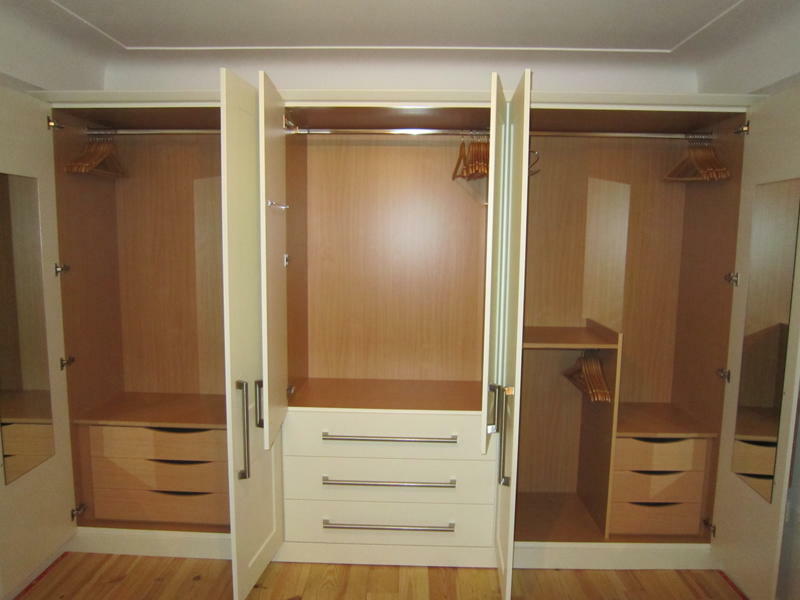 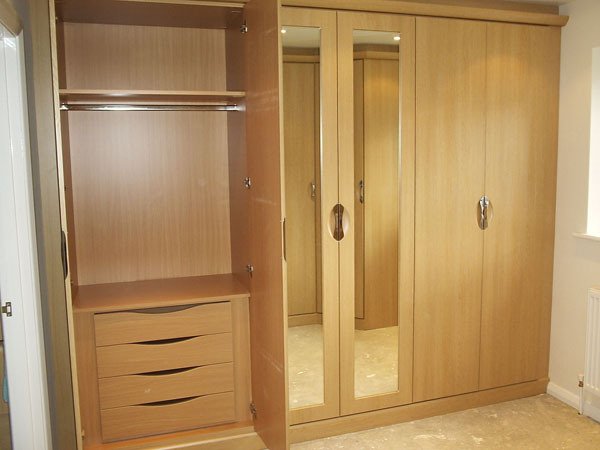 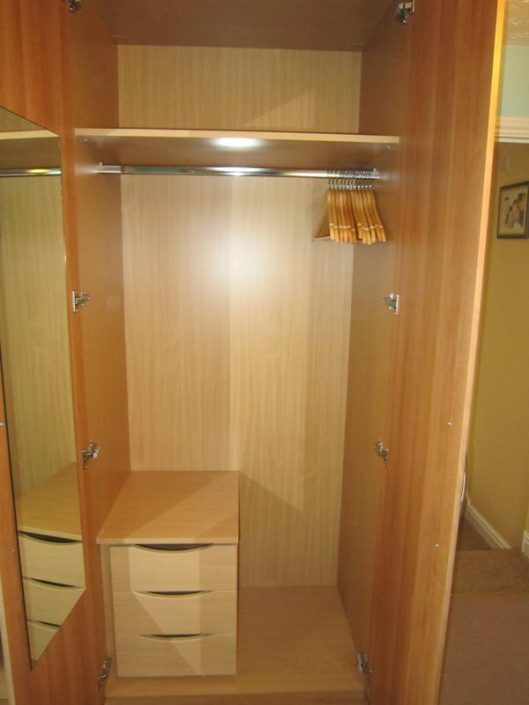 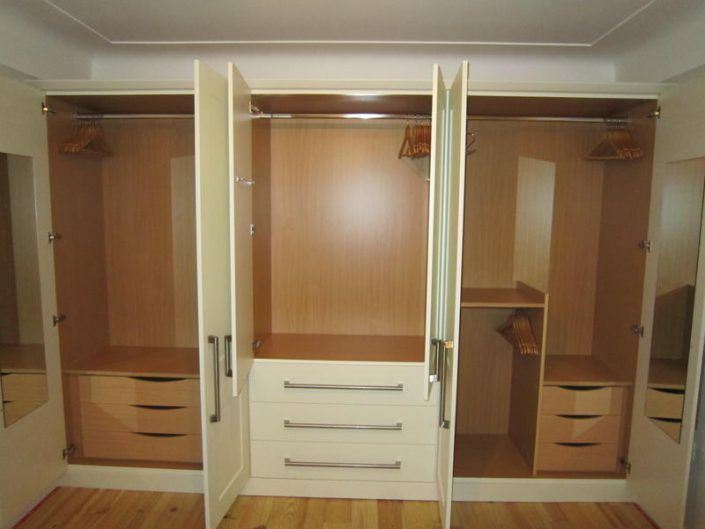 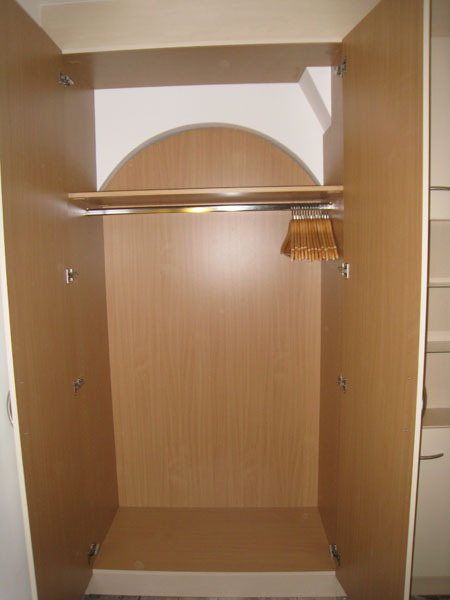 We can also include internal wardrobe mirrors and tie rails on the back of wardrobe doors. 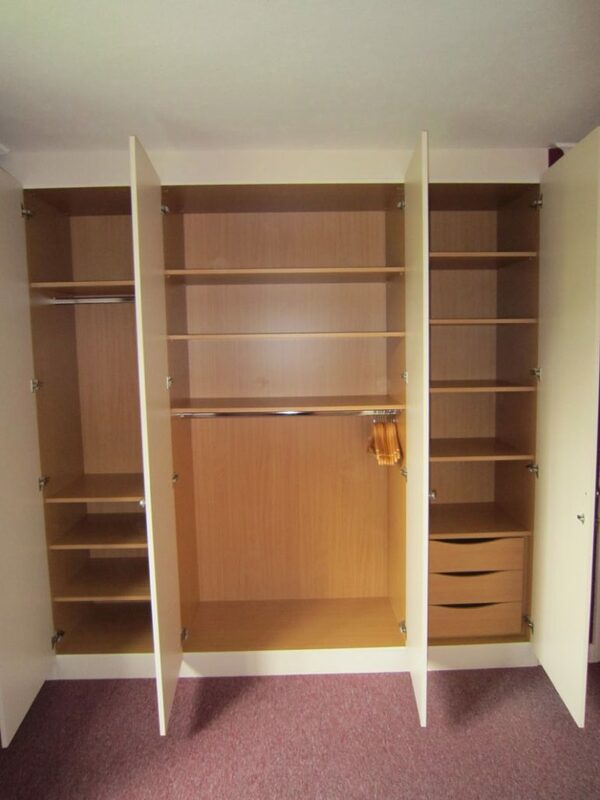 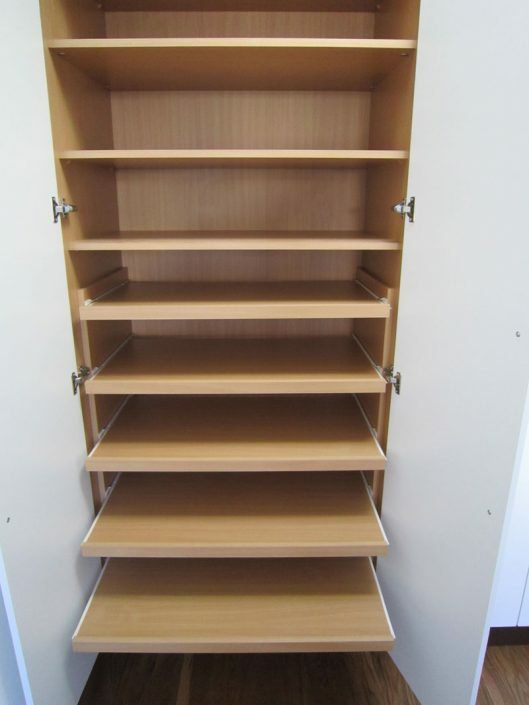 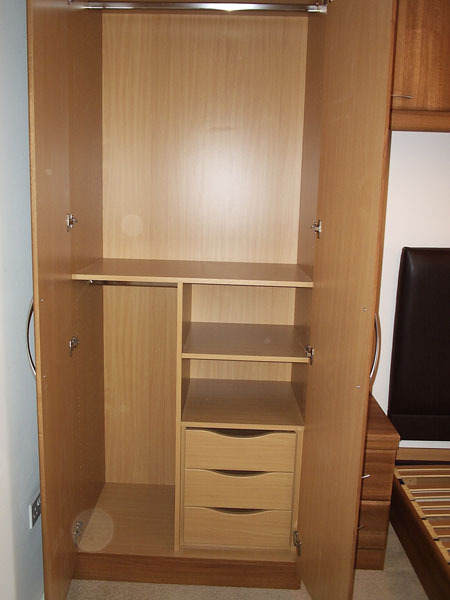 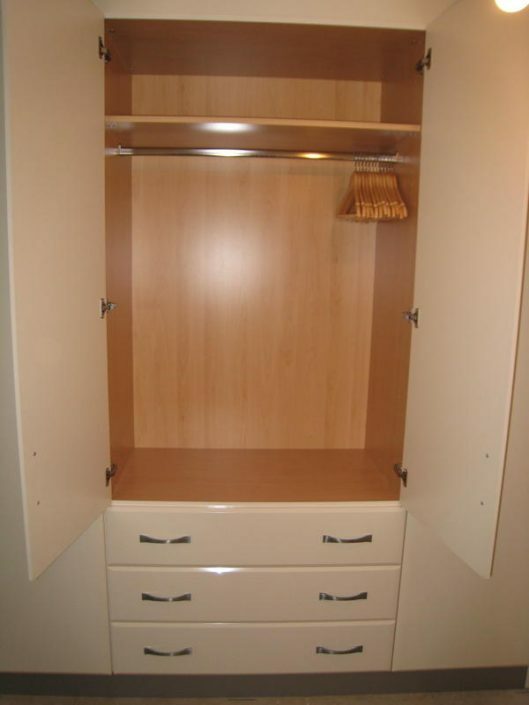 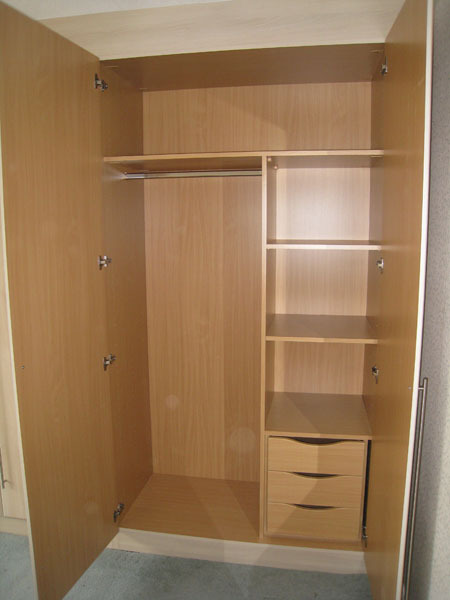 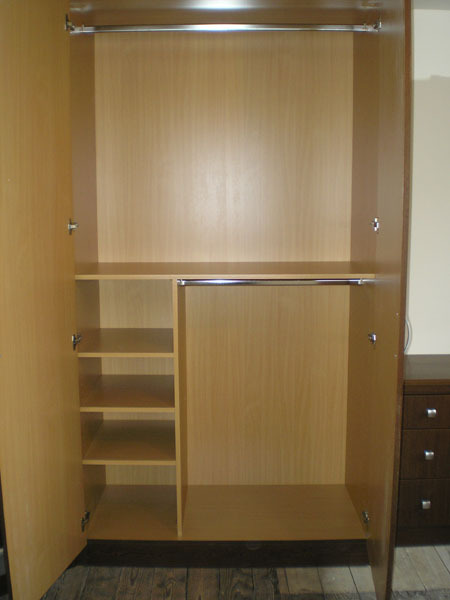 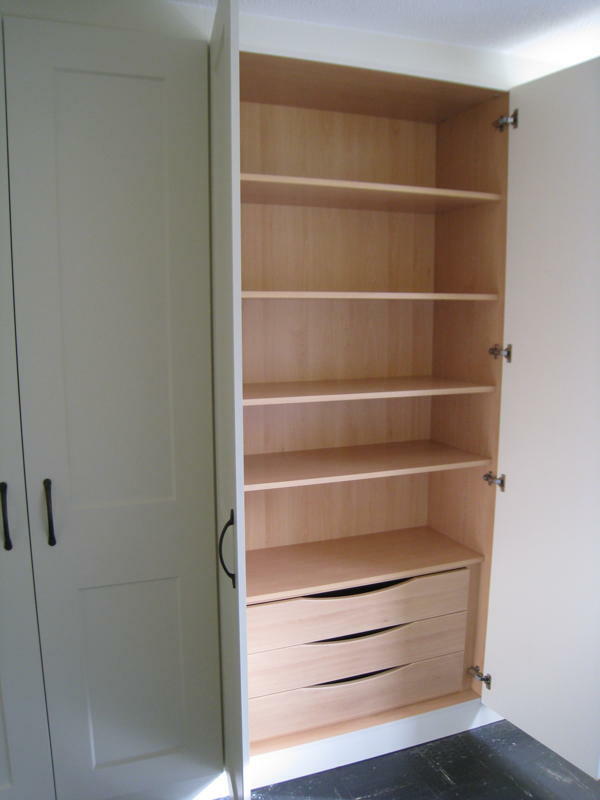 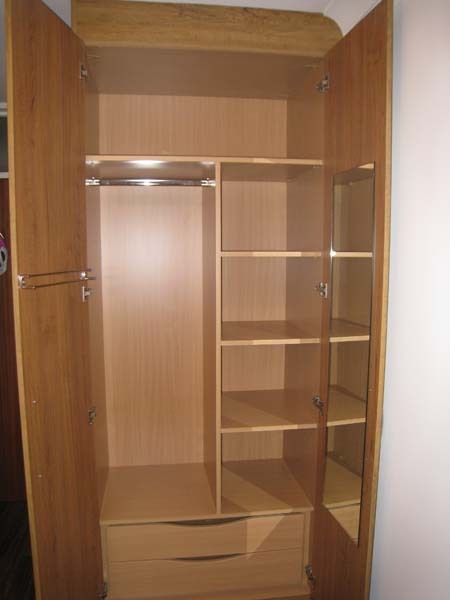 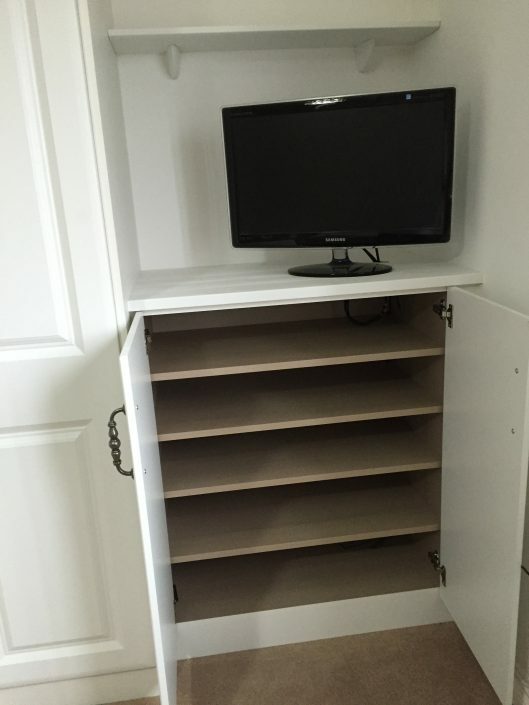 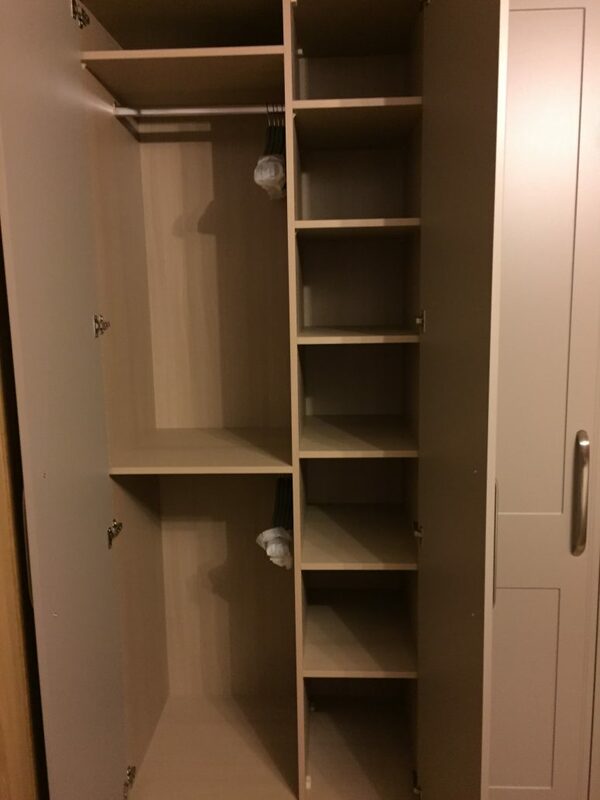 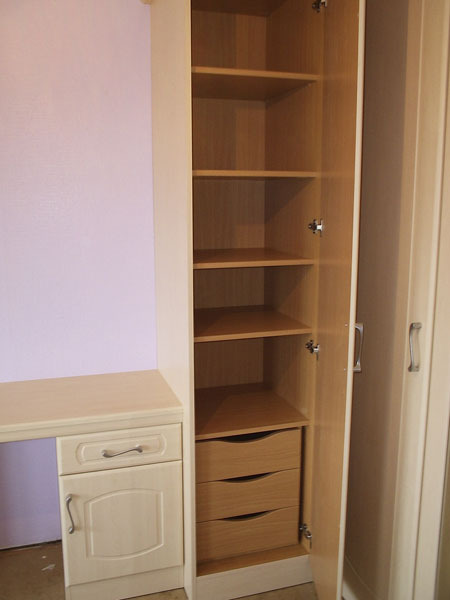 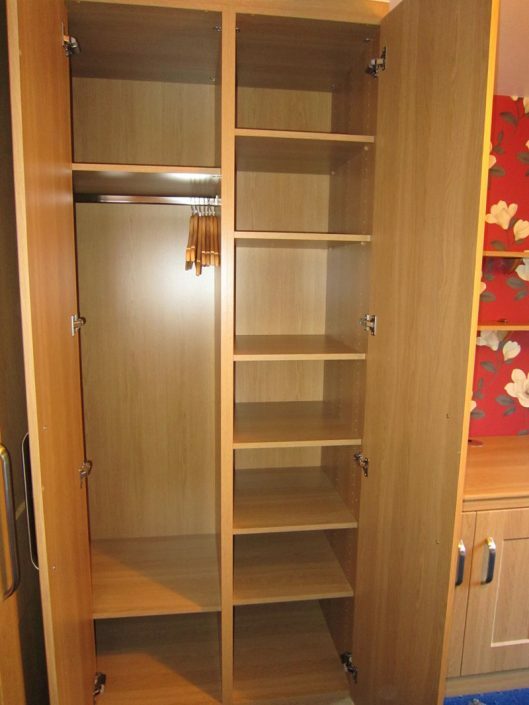 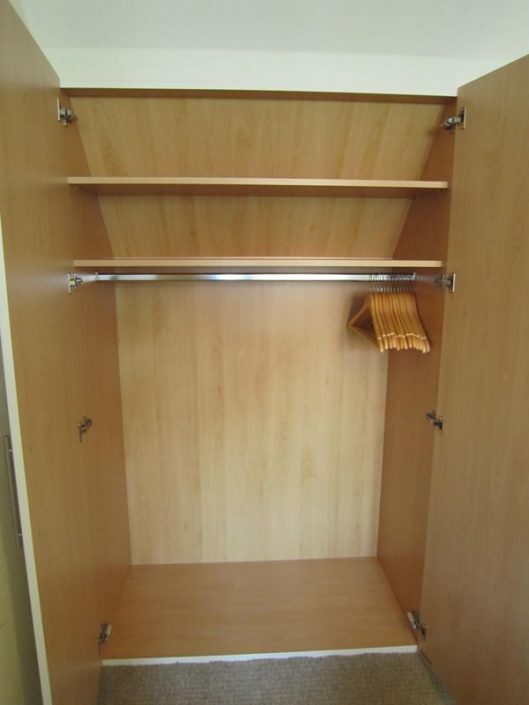 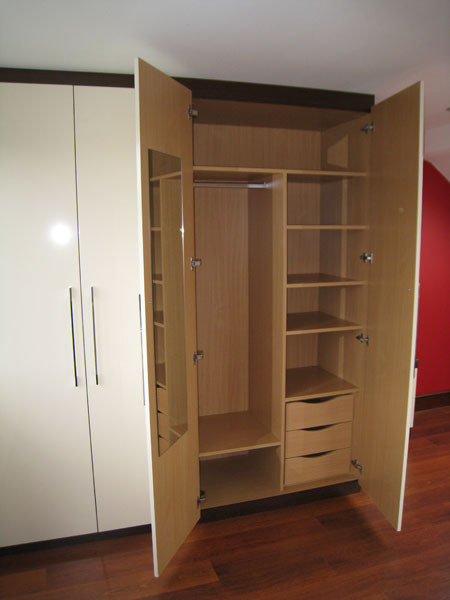 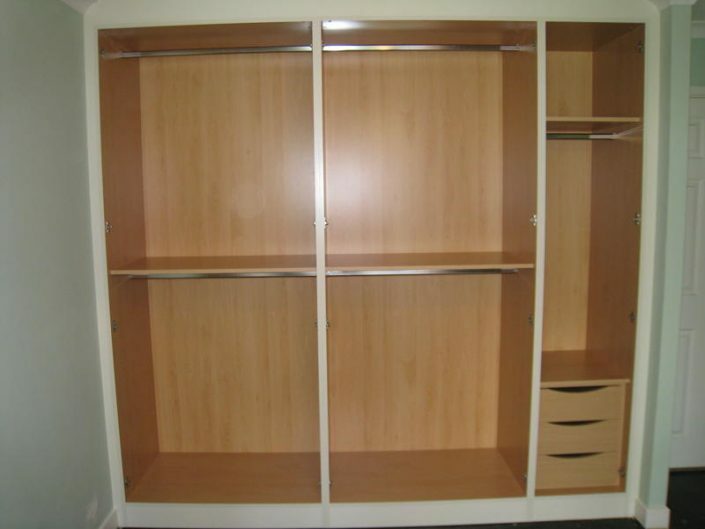 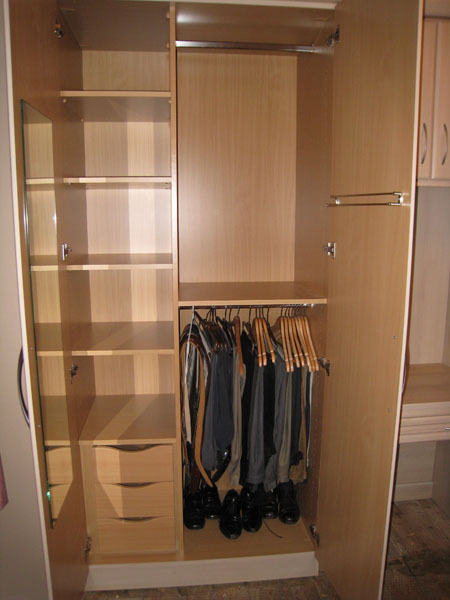 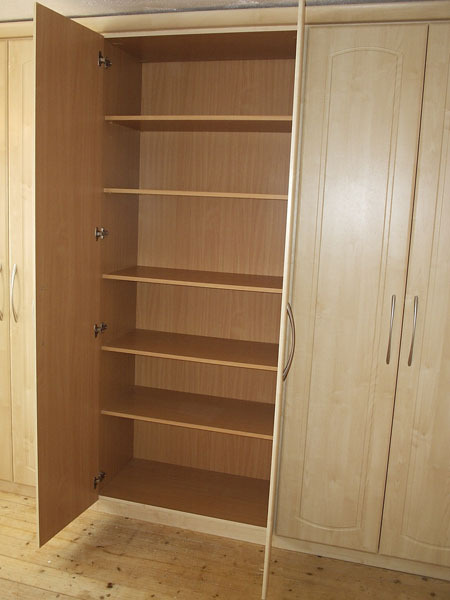 All our wardrobe doors & drawers have quality soft close mechanisms included as standard.